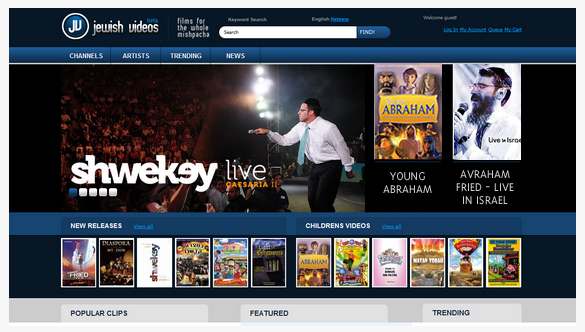 MostlyMusic.com Launches Beta Testing of JewishVideos.com! MostlyMusic.com has just launched a beta of a new website, JewishVideos.com – Here is the message on their front page. MostlyMusic has always been at the forefront of the latest technological innovations. We were the first, and still are the largest online Jewish Music superstore. We have taken that success and experience and expanded on it, to build this state of the art video streaming site, which has been more than a year in the making. This new website will feature a wide selection of Jewish DVD’s available to rent and view instantly on your computer. JewishVideos.com has extended previews for all of our products, along with product descriptions and screen shots of the videos.